Hello! I’m doing my scheduled oil change but i got a problem. 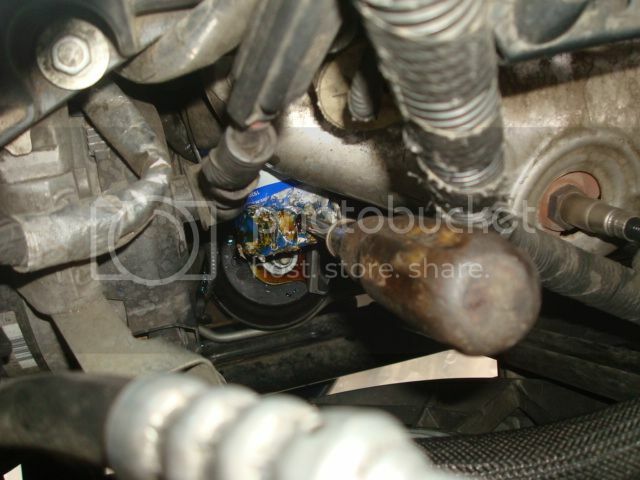 My oil filter get stuck and it really hard to turn till the filter housing get ripped. Is there anyone here have an idea how to remove the stuck filter? I've had good luck with a cap wrench on tight filters.......takes a size "I" wrench.......advantage with limited clearance especially on a late gen1 is you can put a ratchet with a long handle for max leverage and limited throw to crawl it loose. Next would be a band wrench but with the limited throw, possible slippage on the can surface, and curved handle shape it is more difficult than the cap type which positive locks into the flutes on the top of the filter. If neither the cap or band wrench works, best advice is to drive to the dealer for an oil/filter change. Also I discourage punching a screwdriver through the filter to try to gain leverage to turn it.......if it is really stuck the filter can will tear you'll just shred the metal can and have a leaking filter .......then you can't drive and will require a tow truck to get it to a repair station. I once tried the screwdriver method on a Chrysler V8 and instantly regretted it (days before they fluted the tops of the filters for an end cap wrench) and the filter can was damaged so bad that a band wrench wouldn't work....last resort was a chain/pipe wrench which completely crushed the filter warping the seat and released....but can't get away with that with the limited clearance in a Traverse. I THINK he already ripped the can (hard to read his "english"). You can get big adjustable pliers and grab a hold of them. It might be awkward because of the angle on this model. I ran into this issue on the Traverse. 1 time. I tried a bunch of things. None worked. 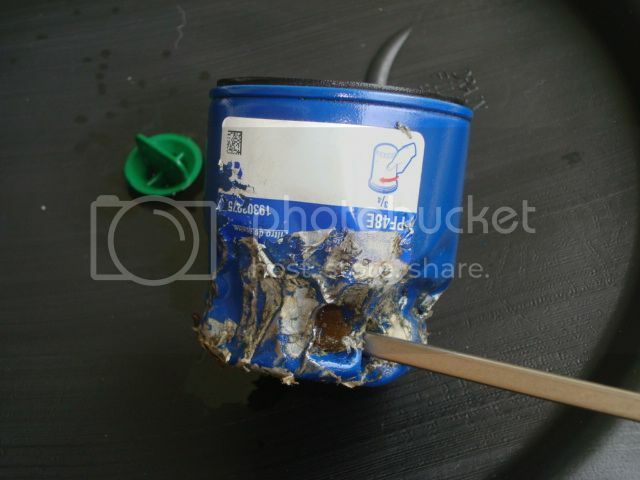 Eventually the oil filter pliers began to collapse the can. I had to revert to a screwdriver to remove it. So have you ALREADY torn/ripped the can OR are you just worried that you MIGHT tear/rip the the can?